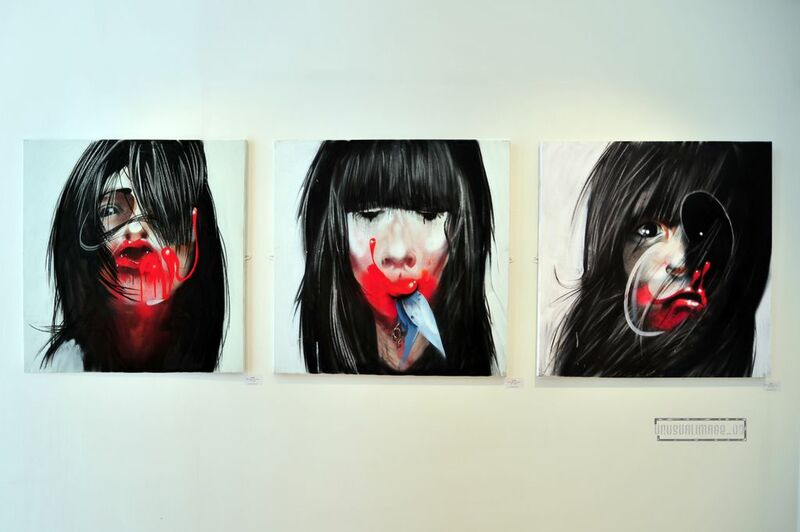 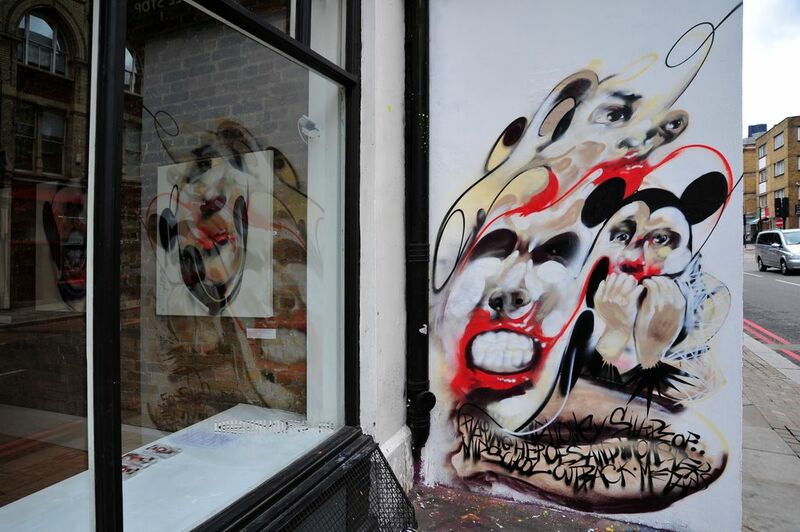 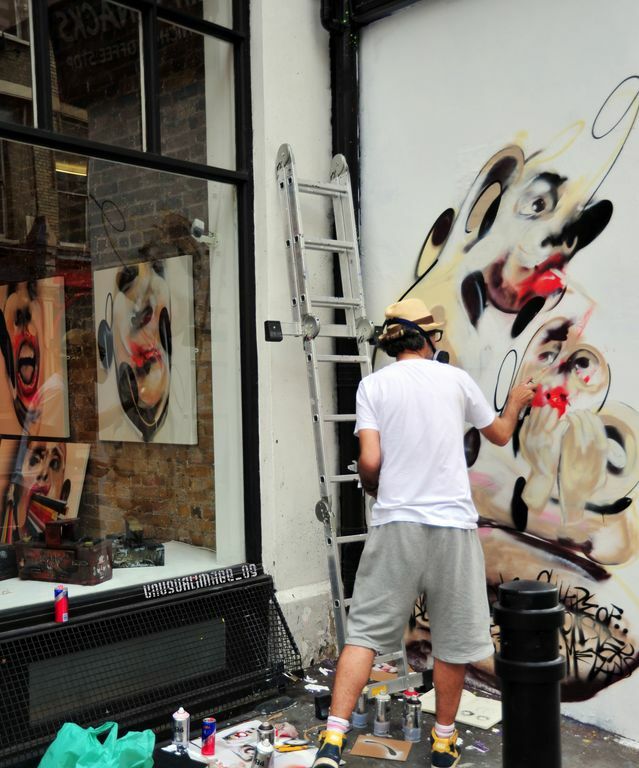 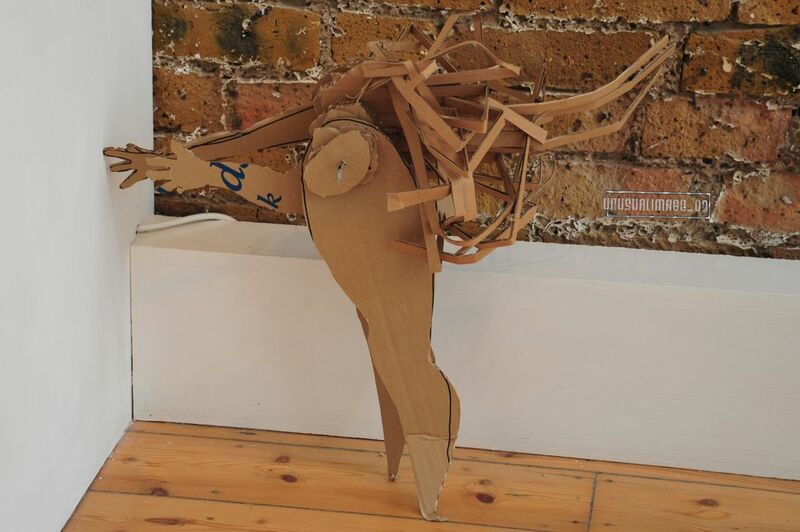 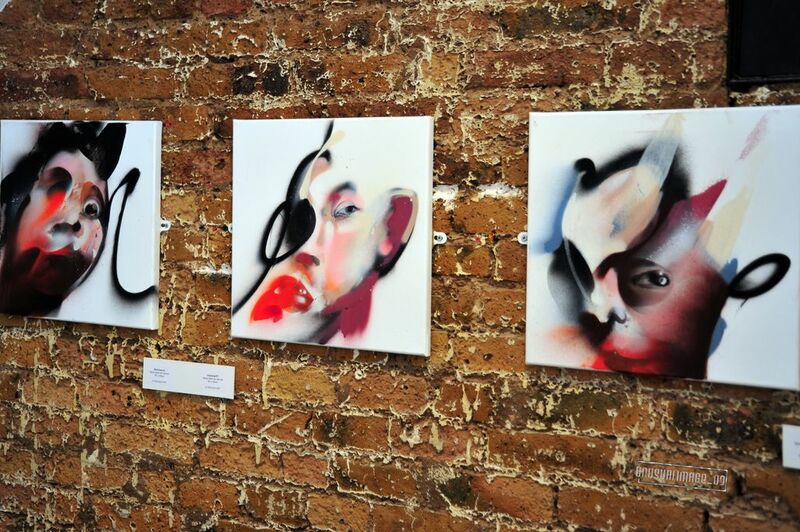 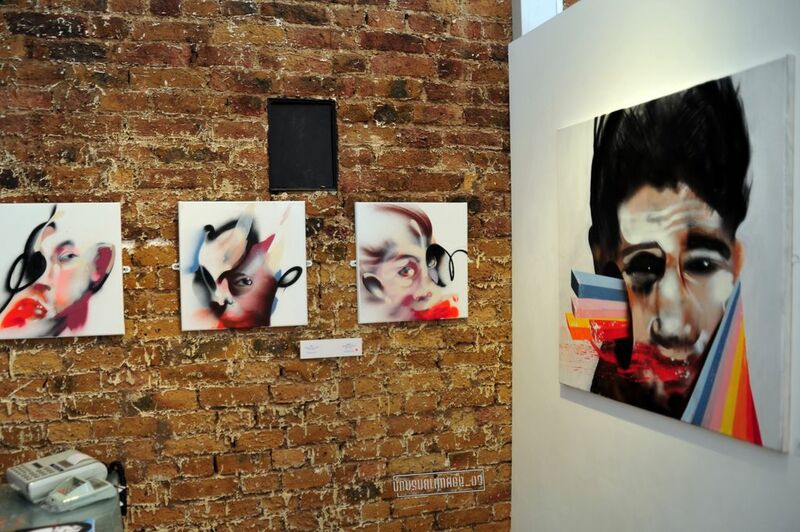 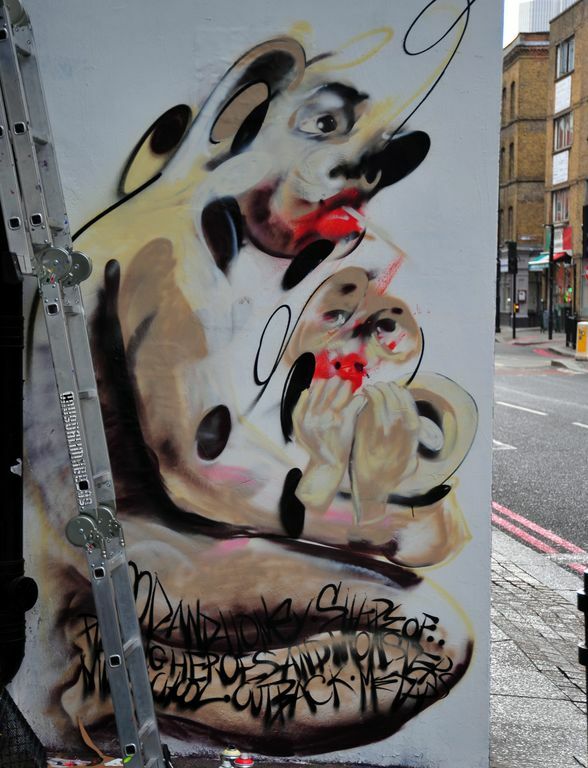 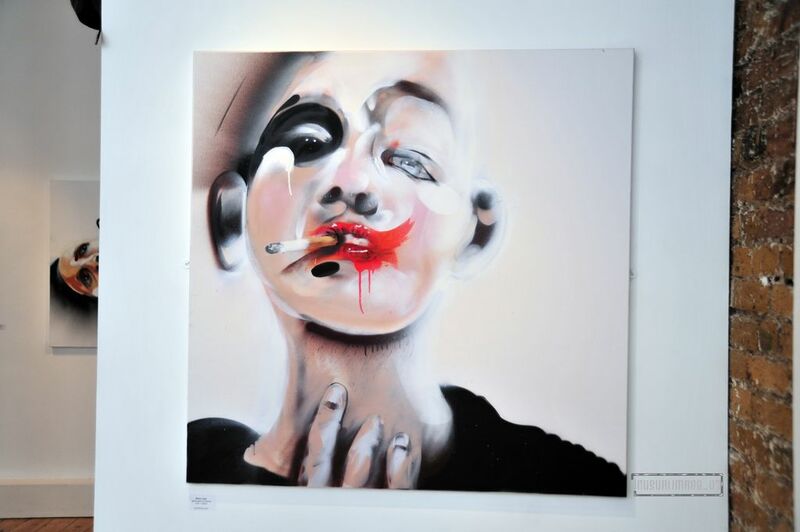 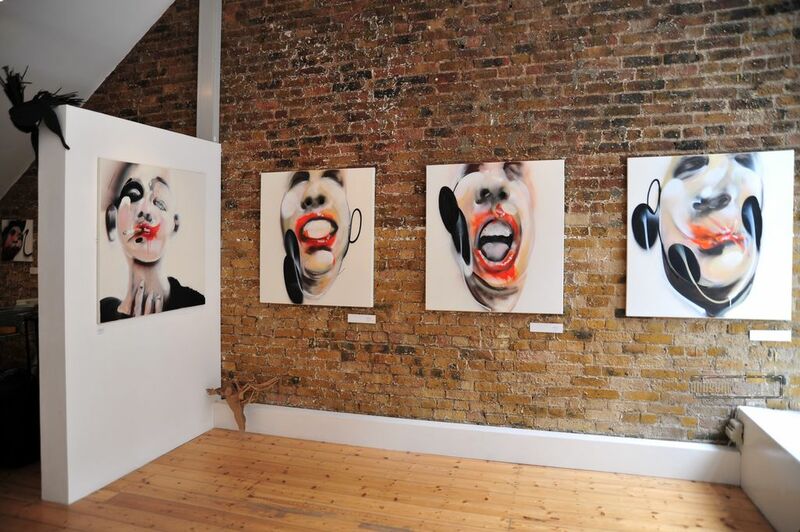 Berlin-based artist, Jaybo (aka Monk), opened his show “Headscape: Tales From the Drifters” in London this weekend at the Signal Gallery (interviewed) in London. 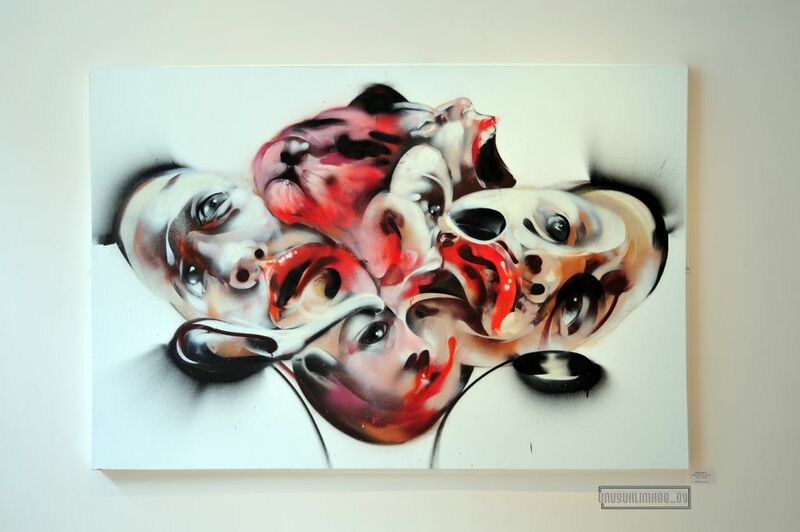 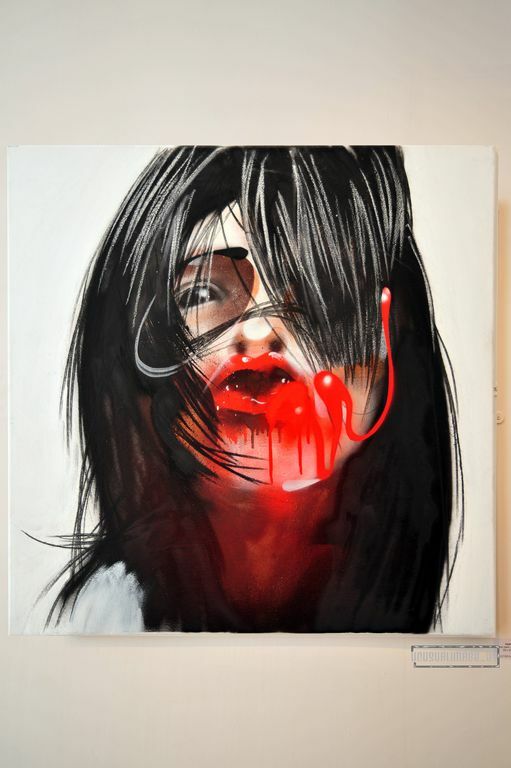 This show from the versatile artist focuses on his portrait style of painting as well as several large murals.Â The distorted and contorted faces in this body of work certainly convey a raw emotion that leaves a lasting impression in the viewer’s mind.Â Particularly striking is his use of color – brilliant reds that contrast and draw our attention to each painting in turn. 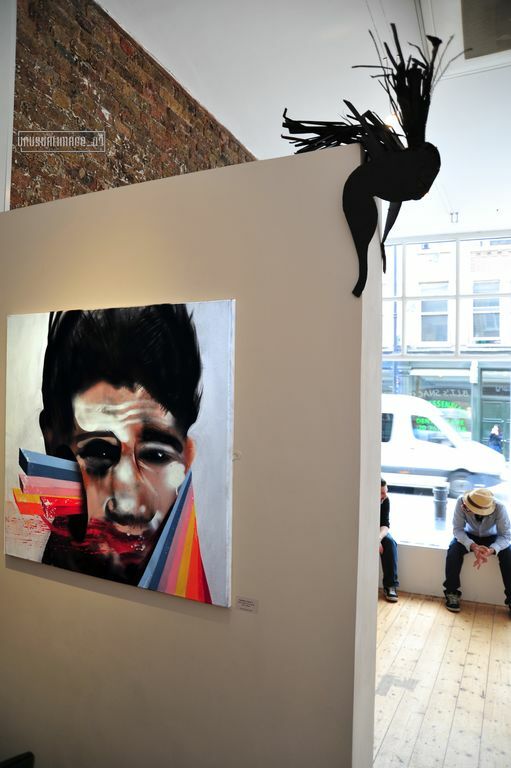 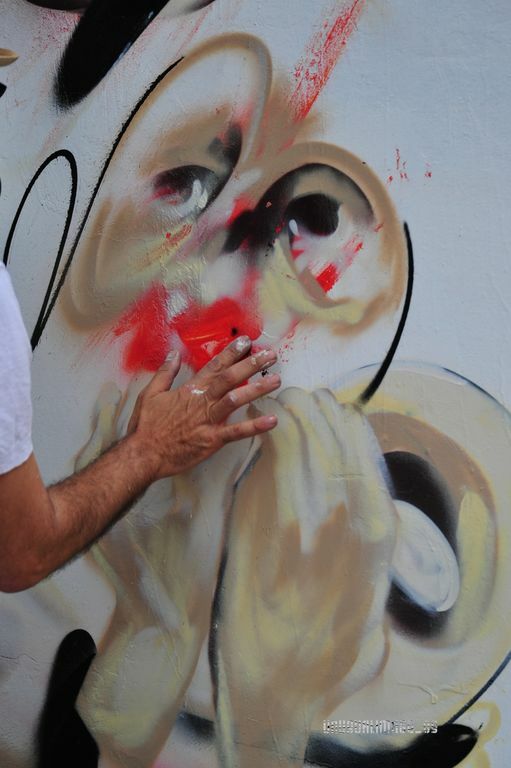 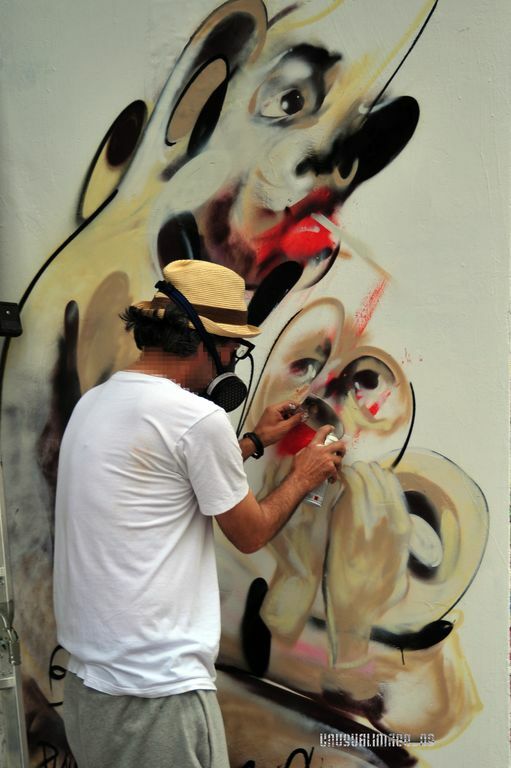 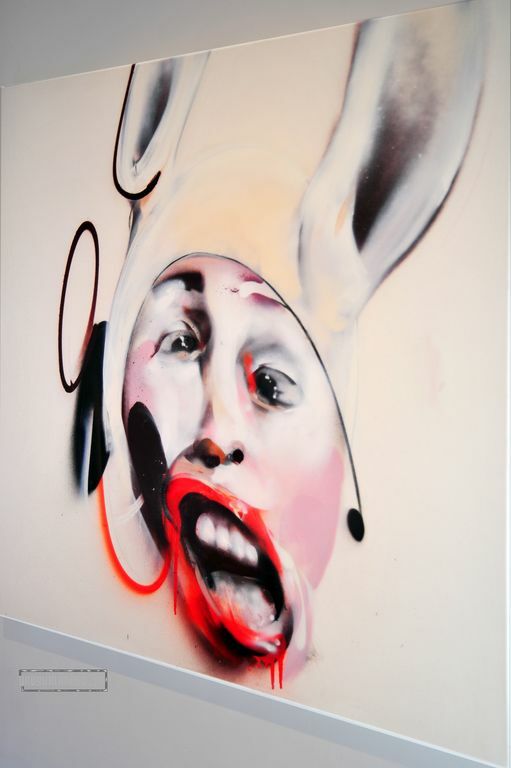 Categories: Art, Installation, Openings, Shows & Events, Street & Urban Art. 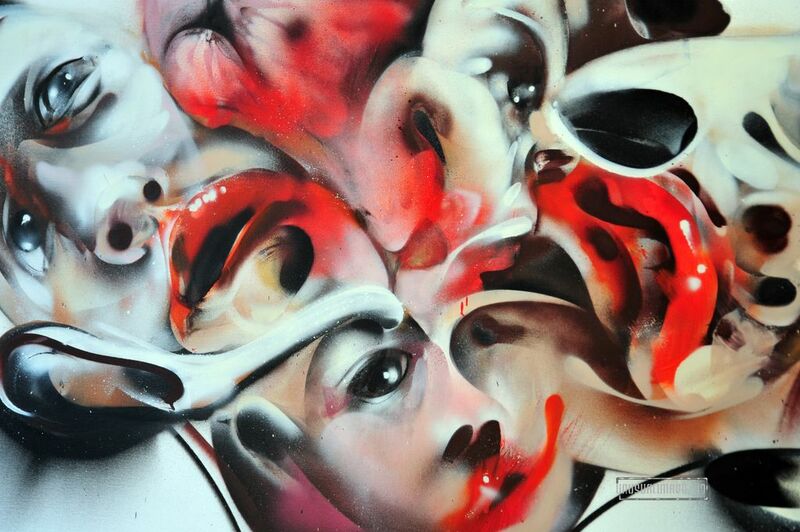 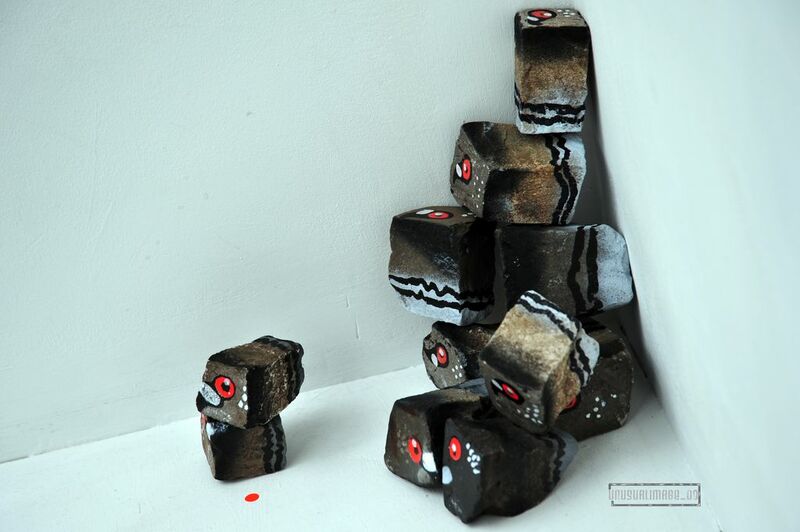 Tags: Installation, Jaybo, Shows & Events, Street & Urban Art.